You’re not alone: A survey from Glad found that nearly half (44%) of Americans have found an item in their fridge in the past month that they didn’t realize was there. As an alternative to composting, keep vegetable scraps to make stock. Keep a gallon zip-top bag in the freezer and add trimmings: carrot and fennel tops, ends of onions or leeks, tomato cores, stems of herbs and greens, corn cobs, and the like. Any produce that’s past its prime in the fridge can go in, as well. When the bag is full, defrost the contents, dump into a pot and add water to cover. Simmer for 2 hours, strain — and you’ll have better-than-store-bought veggie stock (which can be frozen in that same gallon bag). 9. Create “kitchen sink” meals. A great way to use extra cooked vegetables, bits of cheese, grilled or roasted steak, shrimp or chicken is to toss them with lettuce and your favorite dressing. Many food products come in extra-large sizes, which can be more economical. If you won’t use all that sliced bread right away, for example, separate the loaf into portions your family will use in a day. Place a sheet of waxed paper between the portions, wrap and freeze. Tortillas, pita bread and similar items can be saved the same way. Likewise, divide money-saving large packages of meat into portions and freeze. The National Resources Defense Council estimates that up to 40% of food grown, processed and transported in the U.S. will never be eaten. 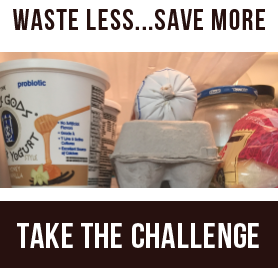 According to the Food and Agriculture Organization of the United Nations, roughly 70 billion pounds of food is lost in the United States each year — and nearly one-third of that food waste happens because we purchase, cook or serve more than we consume. At the same time, about one in six Americans faces hunger, according to Feeding America. 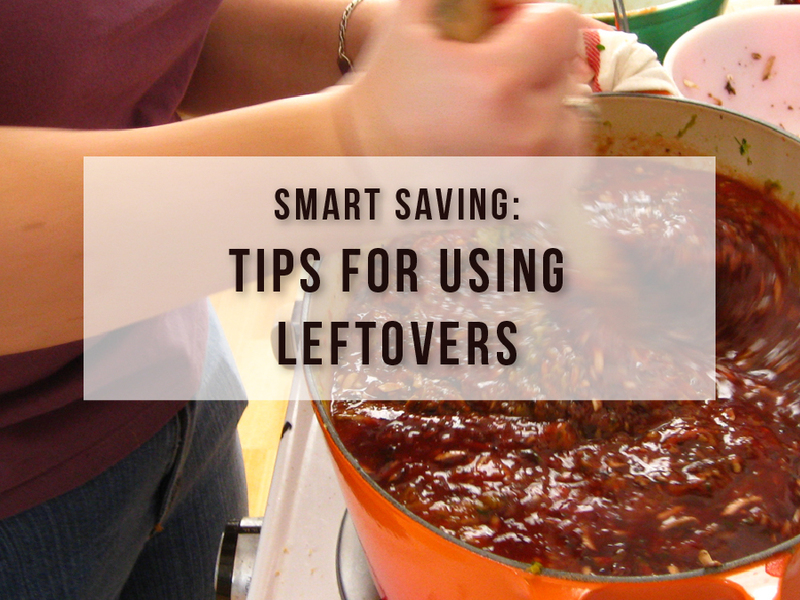 Getting into the habit of using up our leftovers is one way to have an impact on this important issue.